Are Silver & Gold Liquid Investments? Silver and gold can be sold instantly to coin dealers. Gold and silver investments gained popularity with both large and small investors during the period of instability in the global financial system after the Great Recession following the 2008 economic meltdown. 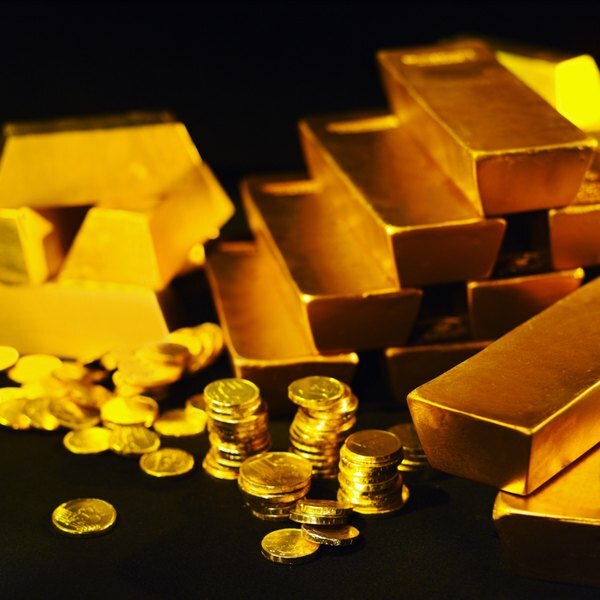 While there are advantages and disadvantages that go along with investing in gold and silver, liquidity is not an issue with either of the precious metals. Gold and silver can easily be exchanged for cash, making them very liquid assets, because of the large number of investors who actively buy and sell both commodities around the world. Silver and gold are liquid assets that can be quickly converted into cash as needed. Liquid assets are those that can easily be converted to cold cash in your pocket without losing substantial value in the conversion. Bank-related investments like CDs and money market accounts are the most liquid assets. Other liquid assets include stocks and mutual funds. Real estate is considered illiquid because it is hard to quickly turn the asset into cash without substantially lowering the price in some cases. Silver and gold are very liquid assets. They can be sold for cash on the spot. The ever-fluctuating spot price of gold and silver is quoted constantly (except on Saturdays and before 6 p.m. on Sundays). The spot price dictates what either of the precious metals is worth at a particular point in time based on supply and demand. You can take your silver or gold coins, bars or jewelry to any precious metals coin dealer during business hours and exchange it for cash based on the weight and purity of the gold or silver content of the items you bring in. Some silver and gold investors prefer to hold the physical metals as investments, while others would rather own stocks issued by companies that mine the earth for silver and gold to sell on the open market for a profit. Silver and gold mining stock prices tend to rise faster than the actual spot price of silver and gold when the prices are rising. They also tend to fall faster than the spot price of silver and gold when prices are falling. Silver and gold mining stocks are as liquid as any other stocks on the exchanges they trade on. They can be sold with a call to your stockbroker or the simple click of a mouse. Exchange traded funds are another type of stock. Silver and gold ETFs do not track the performance of single companies. They instead track the actual spot price of silver and gold. Investors who buy shares of silver and gold ETFs own a share of the silver and gold the ETF holds in its vaults. Like mining stocks, silver and gold ETFs can be sold instantly at any time during trading hours. Business Dictionary: What is liquid asset?